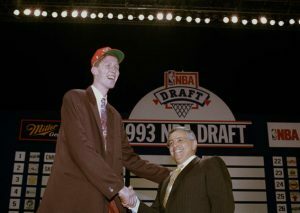 The first three picks in the 1993 NBA draft were Chris Weber, Shawn Bradley, and Anfernee “Penny” Hardaway. The three would go on to star in NBA Finals games, All-Star games, movies, and commercials. 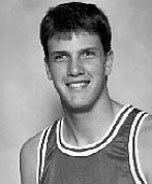 The 14th pick in the draft that year was Scott Haskin, a 6’11 center from Oregon State. 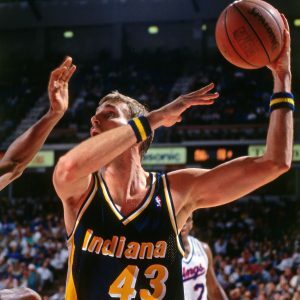 Haskin would play only 27 games for the Indiana Pacers before being out of the league for good. When the ping pong ball solidified the Denver Nuggets lottery position last week, the plan seemed obvious. Select the best player available to add depth to the small forward or power forward position, and hope for the best. After all, Nikola Jokic wasn’t chosen until the second-round years back, Gary Harris was a 19th pick, and we selected Donovan Mitchell at number 13 last year, we just didn’t hold on to him. We’ll find somebody. Haskins wasn’t the only miss as a 14th overall pick. 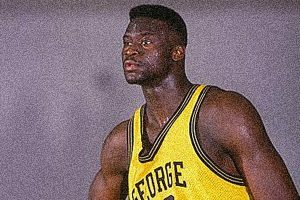 Over the past 20 years the names include Rich King (1991), Yinka Dare (1994), Frederick Jones (2002), and Al Thornton (2007). 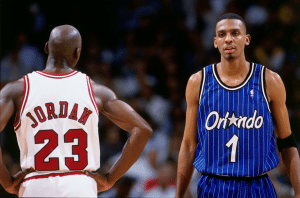 It maybe a little premature to write off Cameron Payne (2015), John Henson (2012), or Shabazz Muhammad (2013), but keep in mind that the last 14th overall pick to make an All-Star game was Peja Stojakovic back in 1996. But fine. The Nuggets select a solid power forward like 6’9 Robert Williams out of Texas A&M and sit him on the bench between last year’s 6’9 first-round pick Tyler Lydon, or the previous year’s 6’9 first-round pick Juan Hernangomez, where they can all learn from the other 6’9 power forwards like Darrell Arthur, Trey Lyles, or Kenneth Faried. On last year’s roster, the Nuggets listed seven players as power forwards, and five more as small forwards. Depth isn’t the issue, upgrading the team is. Maybe you trust that the Nuggets will find another Jokic with the 14th pick going the European route. Denver has shown that they can get lucky with a Jokic, Jusuf Nurkic, and others. But don’t forget that for every Jokic there have been 20 Nikola Radicevics, 10 Vlatko Cancars, and a handful of Efthimi Rentzias. My suggestion is that the Nuggets move up to the number four pick by trading this year’s first-rounder, next year’s first-rounder, and heck, 2020 first-rounder as well if they need to. With Denver stuck in the proverbial ninth-spot year-after-year, and a roster that will be focused on Jokic, Jamal Murray, and Gary Harris for the foreseeable future, the next three years are set up hoping for a playoff spot, no free agent money, and more 14th overall picks. Roll the dice Arturas Karnisovas. Move up and go get us Luka Doncic, the 6’8 small forward that everyone is talking about, take a chance on Michael Porter Jr. and hope he’s a star, or pencil in 6’11 Jaren Jackson and immediately upgrade the team. 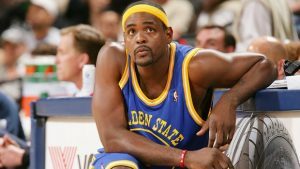 The alternative is to hope for the best (Travis Mays (1990)), find that diamond-in-the-rough (Earl Clark (2009)), and get used to (Rashad McCants (2005)) picking 14th year-after-year-after-year.